I couldn’t help but be excited when I was asked to choose some hidden gems in Liverpool for Travelodge. This fantastic city has been a part of my whole life and I love it dearly. There are so many things to see whether you are a local or a tourist but I’ve tried to think of things that someone coming and staying for a few days wouldn’t necessarily know about and they happen to be three of my favourite places in the city too. First stop has to be somewhere for a coffee (or tea for me) and hidden off the beaten track is Central Perk. Liverpool now has two of these ‘FRIENDS’ themed coffee house’s but the original, and my favourite, of the two is in Hatton Gardens. It looks exactly like the coffee shop out of the popular 90’s sitcom and as a bonus also plays Friends episodes on two big televisions. I love their spiced chai latte and the cheesecake also goes down a treat. This one is generally fairly quiet now the second one has opened so chances of getting on the big orange sofa are good, that really is the best way to experience it! UPDATE: Sadly Central Perk has now closed down but Ameriesko has opened in it’s place and it looks fab, as soon as I’ve tried it out I will let you know! Next up you might want to see some sights; Liverpool is famous for it’s fantastic museums, galleries and waterfront but nestled inbetween the Walker Art Gallery and World Museum is Liverpool Central Library. It was refurbished a few years ago and the building is amazing, when you walk into the entrance you will pass over the titles of famous books and as you walk through the doors look up and you will see a maze of staircases. The children’s section is always fantastic and usually has something going on of a weekend, we’ve popped in and seen a magic show a few times. The thing I love the most though is the rooftop terrace, every time we go in we’ll take to lift up to the top floor and step out to look over the city. It looks out over St George’s Hall and the Empire Theatre and is a wonderful view. Finally you have to find somewhere for a good meal. 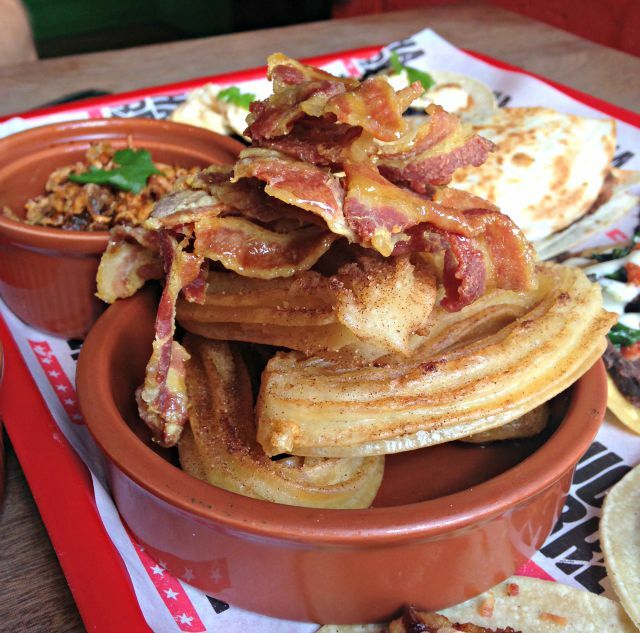 Liverpool certainly isn’t short of places to eat but if you want something a little different Lucha Libre is the place to be. This authentic Mexican restaurant can be found on Wood Street and if you’re willing to take the walk away from the main shopping area you will be treated to some truly wonderful food. Their brunch is particularly good and I think everyone needs to try bacon and churros once in their lifetime! Also the area around here is crammed full of little independent shops and eateries which are always good to explore. I always think when you visit a new city it is nice to find somewhere away from the main shopping area and tourist attractions as that is when you find some of the most memorable places! These are the places I go back to time and time again, whether I’m in the city with family or friends they never disappoint. You can go away feeling happy that you’ve supported a smaller business or seen something that not everyone does. Hope you enjoy exploring next time you visit Liverpool. 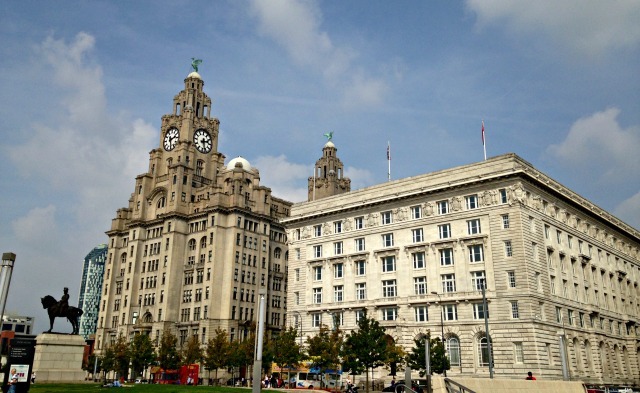 You can also check out this Evolving Cities piece from Travelodge all about how the city has changed over the years and win a stay in Liverpool. This post was written in collaboration with Travelodge. 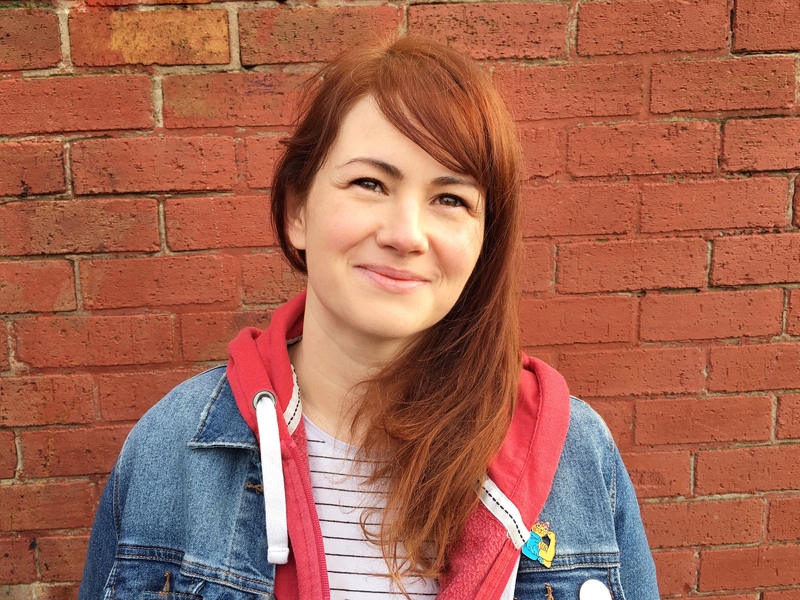 I love Liverpool too – back in the days that Liverpool was named Capital of Culture I was a travel professional and spent a lot of time there training. Wow I think I need to visit the Friends themed cafe. I had no idea they had one. I used to go a lot to Liverpool for work but I’m always near the Albert Docks. I love Lucha Libre but have still never ever been to Central Perk, really need to do it. Would love to sit on that sofa and chew the fat! I still need to go to Lucha Libre!! I love Liverpool. Hoping to spend more time there with my littlest next spring/summer before he starts school. Sometimes, I think it’s so far away but in reality, I can be at the Albert Dock in 40 minutes. Oh this looks like such a gorgeous break! Liverpool is on my “must visit soon list” and you’ve made me more sure of it. The Friends coffee shop made my 18 year old self YELP with JOY! !